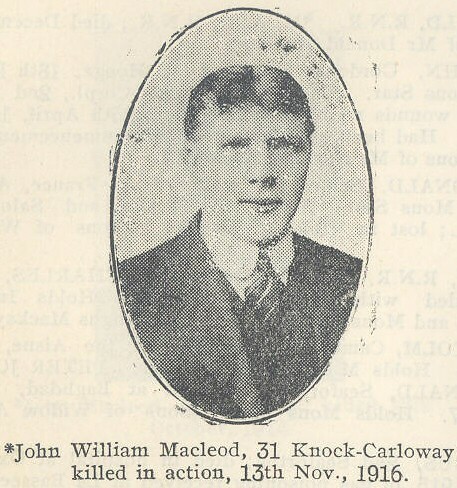 Son of Malcolm McLeod, of 31, Knock, Carloway, Stornoway. His brother Malcolm served in the Canadians, and Angus was in the Ross Mountain Battery. Both these survived the war.